Part of Dayspring Multi Academy Trust, Ian Ramsey CE Academy in Stockton on Tees is judged by OFSTED to be a GOOD school in all categories (September 2017). 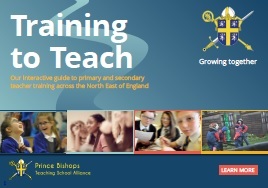 “Motivational teaching, a strong climate for learning and good pupil behaviour all contribute to this”. “Staff morale is high. The Executive Head Teacher and Head Teacher have developed a culture of high expectations, alongside a school climate that values all adults equally. Staff indicate how much they enjoy working in the school”. The Ian Ramsey Church of England Academy is a popular, over-subscribed academy for 11-16 students in Stockton on Tees. There are approximately 1170 students on roll with a pan of 237 in each year group.